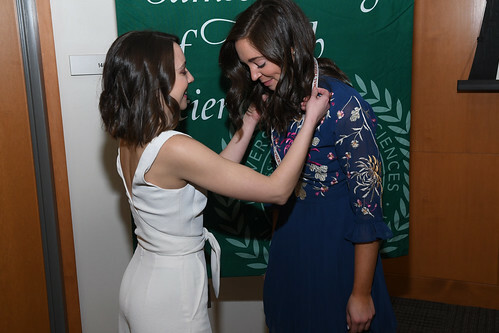 As they transition to the professional phase of their education, approximately 40 occupational therapy students at University of the Sciences took part in the 15th annual OT pinning ceremony on Saturday, March 30, 2019. The master's students will soon be going out into clinics, schools, community centers, hospitals, and homes to practice under skilled therapists in order to perfect their skills as entry-level occupational therapists or to conduct research for their capstone projects. The doctoral students will be working on their research for their capstones and will be completing their clinical rotations in a year.